After earning his undergraduate degree in English literature he originally set out to become a novelist, which is perhaps why he was such a highly prolific writer. After turning to psychology, he authored more than 200 articles and a number of books including Walden Two and Beyond Freedom and Dignity. The following are just a few of the quotes from his publications. "Some of us learn control more or less by accident. The rest of us go all our lives not even understanding how it is possible, and blaming our failure on being born the wrong way." "Fame is also won at the expense of others. Even the well-deserved honors of the scientist or man of learning are unfair to many persons of equal achievements who get none. When one man gets a place in the sun, the others are put in a denser shade. From the point of view of the whole group there's no gain whatsoever, and perhaps a loss." "The mob rushes in where individuals fear to tread." "The only way to tell whether a given event is reinforcing to a given organism under given conditions is to make a direct test. We observe the frequency of a selected response, then make an event contingent upon it and observe any change in frequency. If there is a change, we classify the event as reinforcing to the organism under the existing conditions." "The strengthening of behavior which results from reinforcement is appropriately called 'conditioning'. In operant conditioning, we 'strengthen' an operant in the sense of making a response more probable or, in actual fact, more frequent." "We admire people to the extent that we cannot explain what they do, and the word 'admire' then means 'marvel at.'" "In the traditional view, a person is free. He is autonomous in the sense that his behavior is uncaused. He can, therefore, be held responsible for what he does and justly punished if he offends. That view, together with its associated practices, must be re-examined when a scientific analysis reveals unsuspected controlling relations between behavior and environment." "Rituals are superstitions; they are adventitiously reinforced. The more conspicuous and stereotyped the behavior upon which the reinforcer is accidentally contingent, the greater the effect." "We shouldn't teach great books; we should teach a love of reading. Knowing the contents of a few works of literature is a trivial achievement. Being inclined to go on reading is a great achievement. "Any stimulus present when an operant is reinforced acquires control in the sense that the rate will be higher when it is present. Such a stimulus does not act as a goad; it does not elicit the response in the sense of forcing it to occur. It is simply an essential aspect of the occasion upon which a response is made and reinforced. The difference is made clear by calling it a discriminative stimulus." 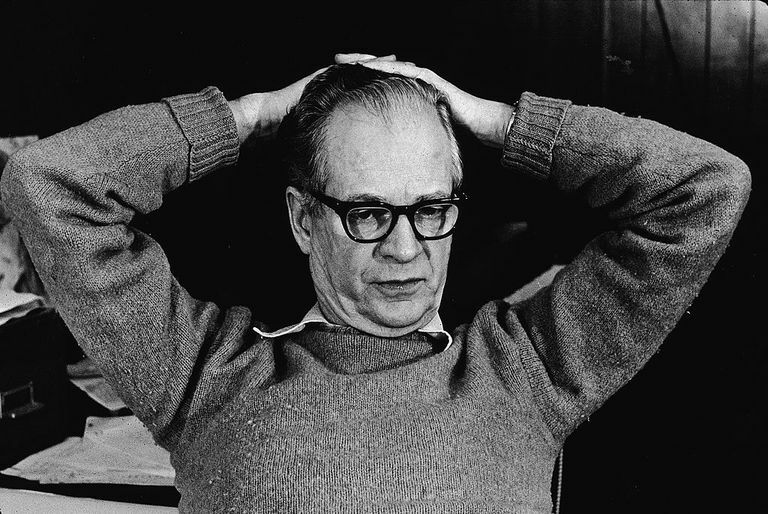 You can learn more about B. F. Skinner by reading this brief biography of his life, exploring his theory of operant conditioning, and taking a closer look at his schedules of reinforcement. Skinner, B.F. About Behaviorism. 1974. Skinner, B.F. Beyond Freedom and Dignity. 1972. Skinner, B.F. New Scientist. 1964. Skinner, B.F. Walden Two. 1948.